Only moments after the concert begins and the lights go down, thugs open fire on parents and schoolmates alike, in a plot against Ariel's father that quickly spins out of control. As the entire party is taken hostage, the girls are forced apart. Ariel escapes into the hidden tunnels in the family mansion, where she and Sera played as children. Only Sera, who forges an unlikely alliance with Hudson Winters, knows where her friend could be. As the industrial terrorist plot unravels and the death toll climbs, Ariel and Sera must recall the sisterhood that once sustained them as they try to save themselves and each other on the longest night of their lives. I didn't expect to love this book as much as I did. But honestly, from beginning to end I couldn't put the book down. This is one of those stories that will have you reading for hours until you don't even realize how much time has passed or how late it is. This is exactly what happened to me. This story is not only about surviving, but mainly about this friendship and bond between these two girls. The two main characters, Ariel and Sera, were childhood friends who haven't been friends for a while, but when they are put in a hostage/survival situation they come together. Which was something that I loved and is something that would definitely happen to anyone who has or had a life long friend. This is a friendship where these girls can not speak for a while, but no matter what went on between them, they'd still be there for one another in the end. Everyone deserves a friendship like that. Another thing I loved about this story was the two person's point of view. The story is told from both the girls and I loved that. Seeing two different views on the same story drew me in even more. This is definitely a story worth reading for every teen and/or young lady. The great story line keeps your reading and the characters keep you invested in finishing this story til the end. Disclosure: All opinions are my own. 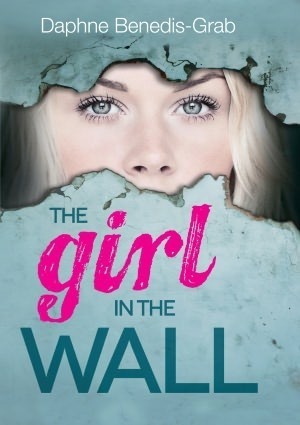 I received The Girl In The Wall at no cost for the purpose of this review. No other compensation was received.